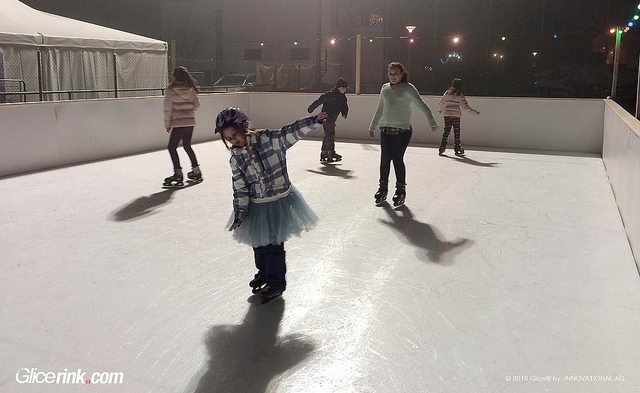 The Glice® premium synthetic ice rink ensured a lot of fun at the sports club. Members and visitors enjoyed skating even at relative high temperatures during this mild winter. Glice® Zero Energy with no need for electricity nor water combines both an excellent skating experience and environmental responsibility.